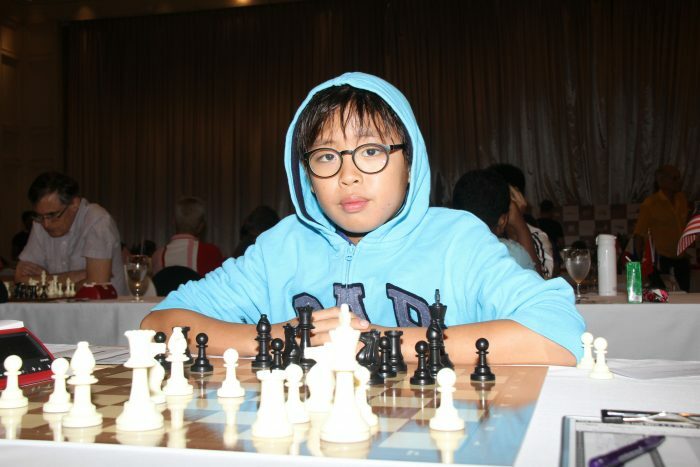 In 2016 Poompong Wiwatanadate was working as an arbiter at the Bangkok Chess Club Open, collecting results and ruling on disputes. 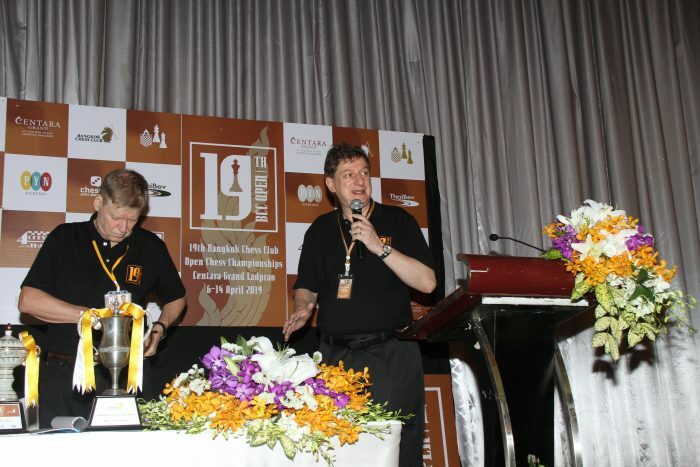 Three years later the 29-year-old has become the toast of Bangkok by holding a draw against – and almost beating top seed and former world title challenger Nigel Short. 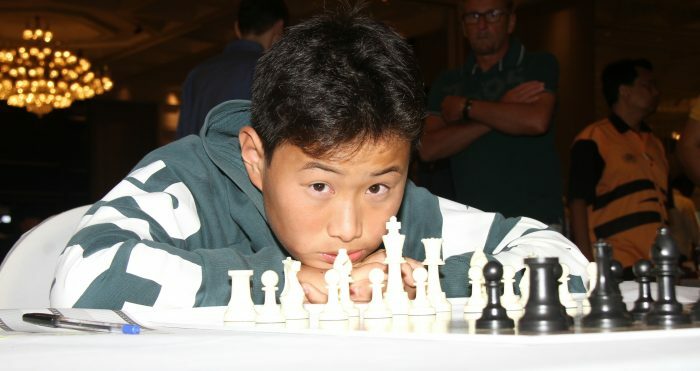 Wiwatanadate had twice lost to Short in earlier BBC Opens, an event Short has won thrice, but said before today’s game that he would not be scared. 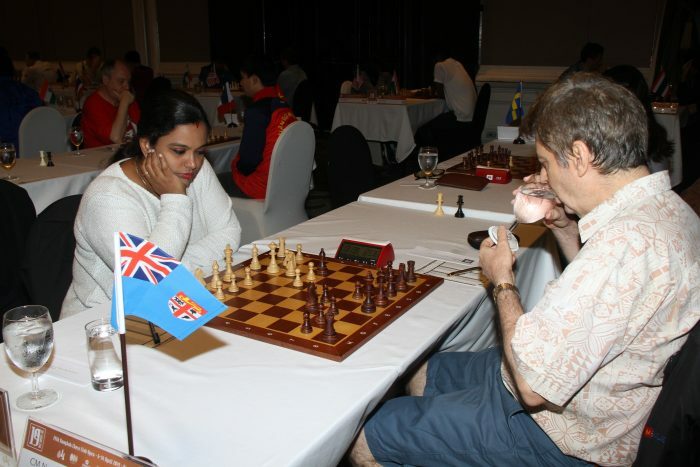 At various points during the game Short seemed to be gaining the upper hand but Wiwatanadate fought hard and eventually the veteran Englishman started to go wrong. 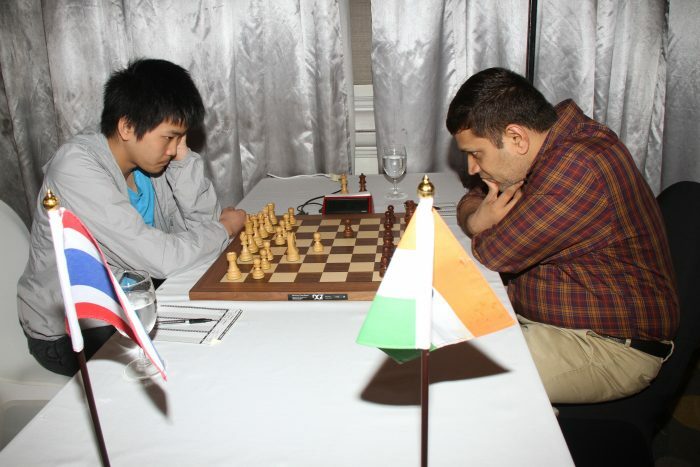 However just when Wiwatanadate had the game at his mercy he missed a winning breakthrough and Short managed to hang on and force a repetition of position. 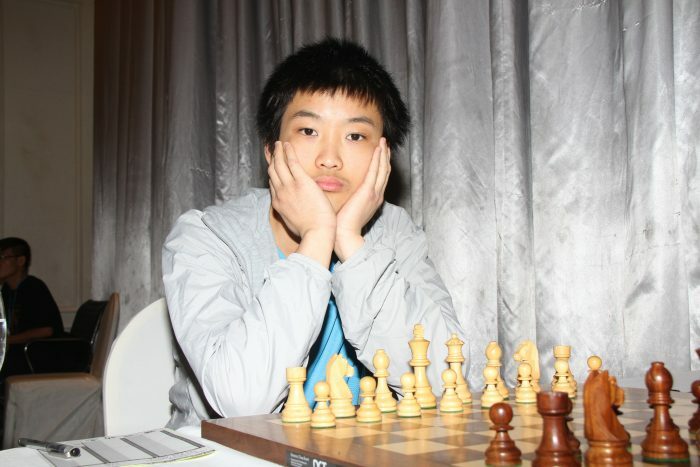 The draw was a career-best result for Wiwatanadate and forced Short down outside the top 30 in the 201 player field. 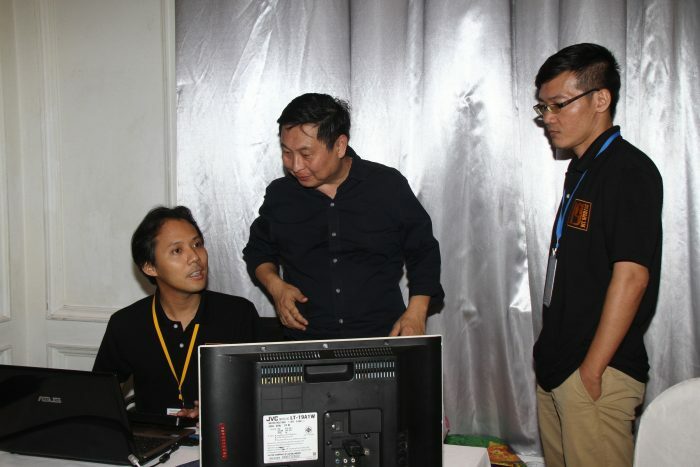 Short was not the only high profile casualty in the second round of the BCC Open, being held at the Centara Grand Hotel in Ladprao. 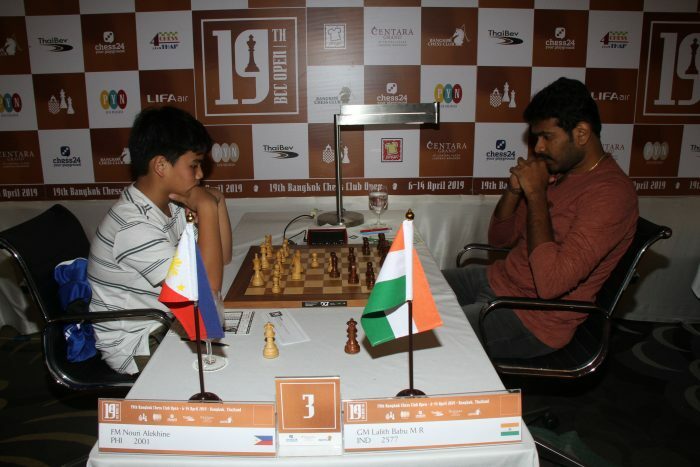 Third seed Babu Lalith drew with 13-year-old Filipino rising star Alekhine Nouri. 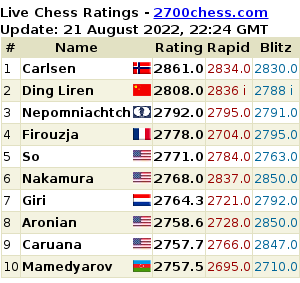 The upsets leave German Grandmaster Jan Gustafsson in the box seat to win his second BCC Open, although with seven rounds remaining and more than 30 players on a perfect score, plenty of players still have hopes to secure the 100,000 Baht first prize. 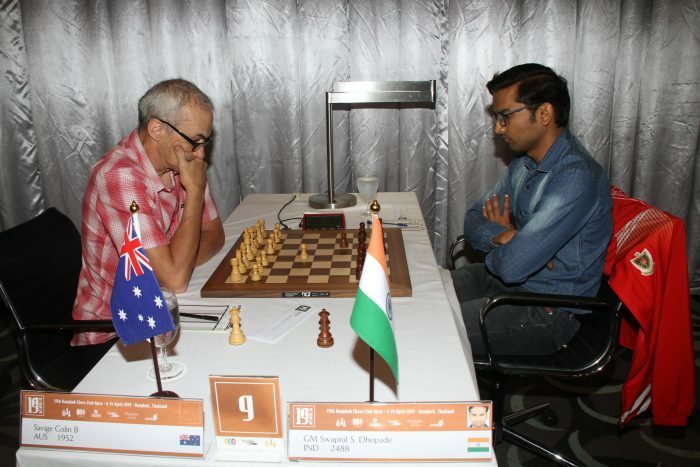 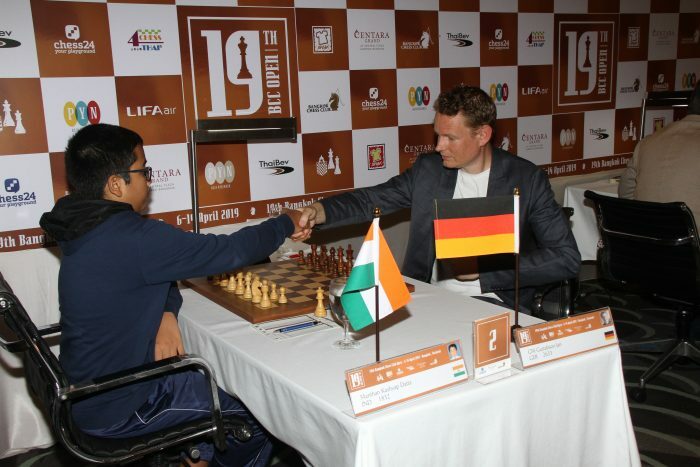 One Grandmaster was defeated in the second round – India’s Dopade Swapnil beaten by Australian journeyman Colin Savige. 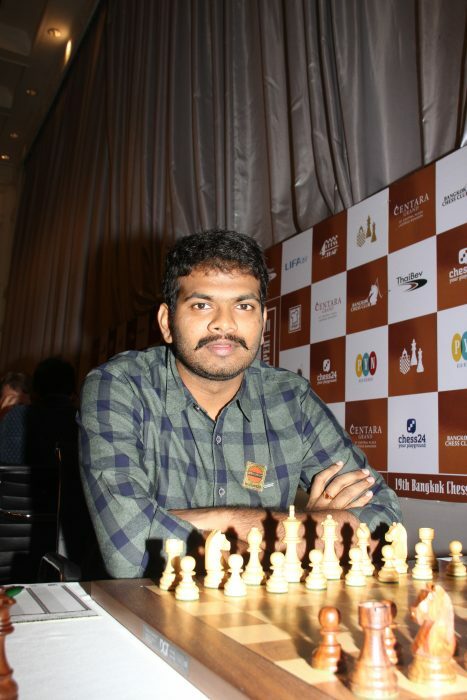 Swapnil lost on time on move 61 in a difficult position but one which he would nonetheless have expected to draw. 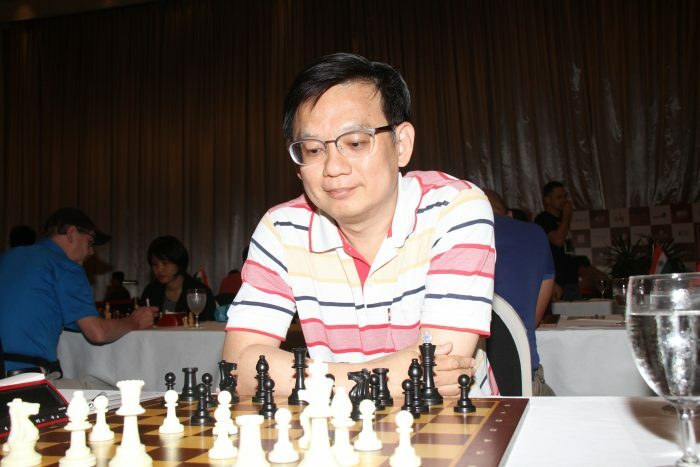 The top Chinese player in the BCC Open, International Master Lou Yiping suffered the biggest upset of the round, losing to German veteran Mick Tobor, with the 68-year-old launching a decisive attack to beat the 12th seed. 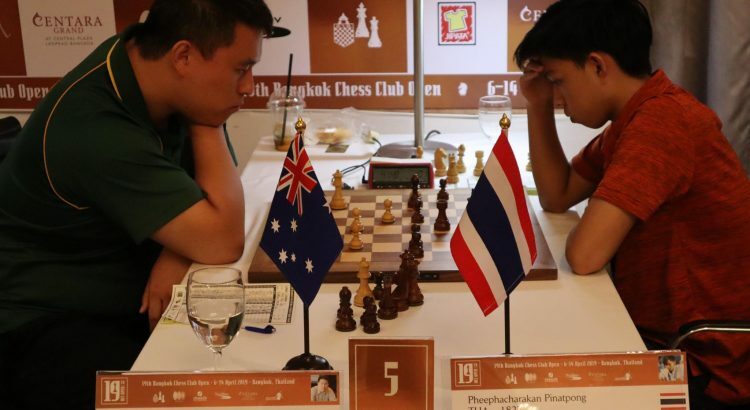 The Bangkok Chess Club Open, often known as the Thai Open, is Thailand’s most popular open tournament and alternates between Bangkok and other major Thai cities. 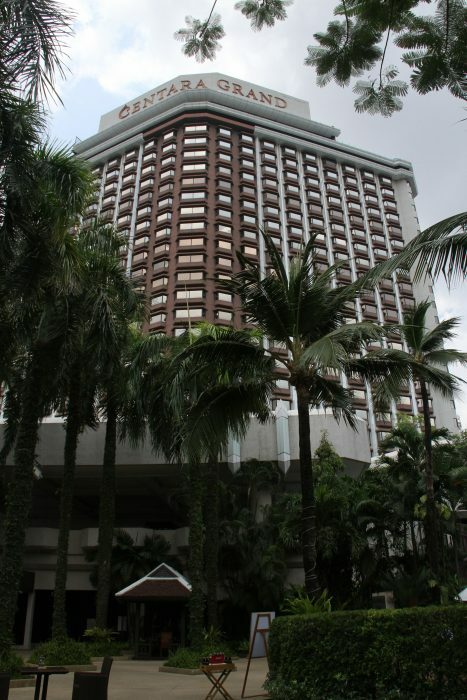 It is held through the period of Songkran, formerly Thai New Year and now a traditional water festival washing away bad moves and bad luck. 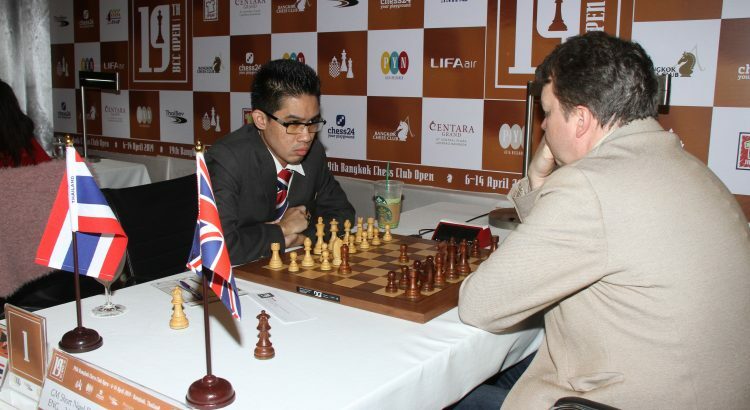 The BCC Open will be held daily until April 14th at the Centara Grand Hotel in Central Plaza, Ladprao, Bangkok. 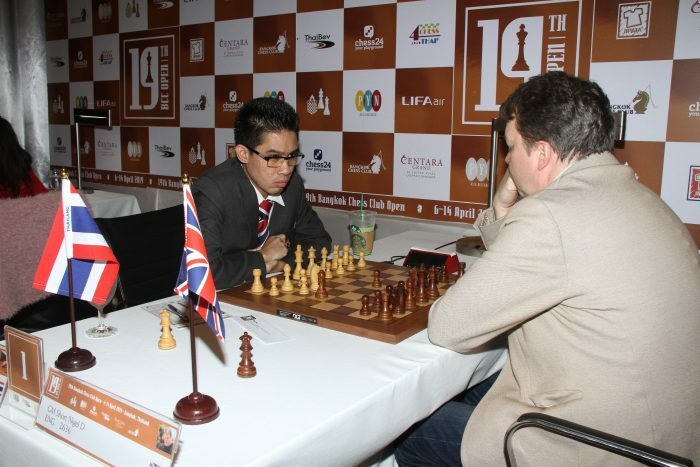 The third round of the Open division and the first round of the Challengers section begin on Monday April 8th at 15.00. 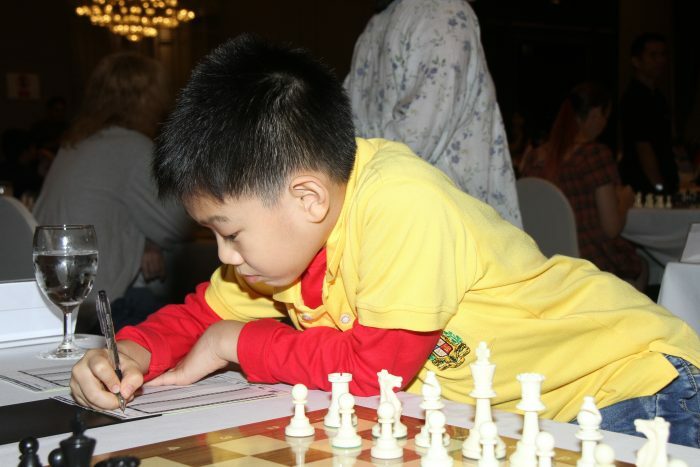 Spectator entry is free. 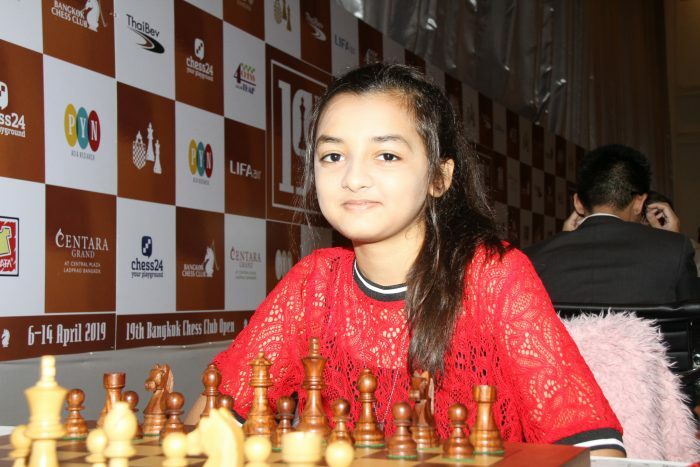 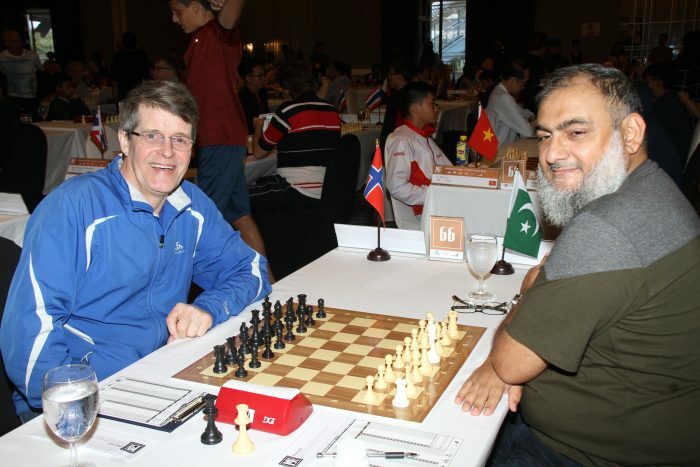 The 19th Bangkok Chess Club Open, described as “arguably, the tournament of the year,” by respected web site Chess24.com, began on Saturday in the luxurious ballroom of the Centara Grand Hotel with a near-record attendance, which included 17 Grandmasters. 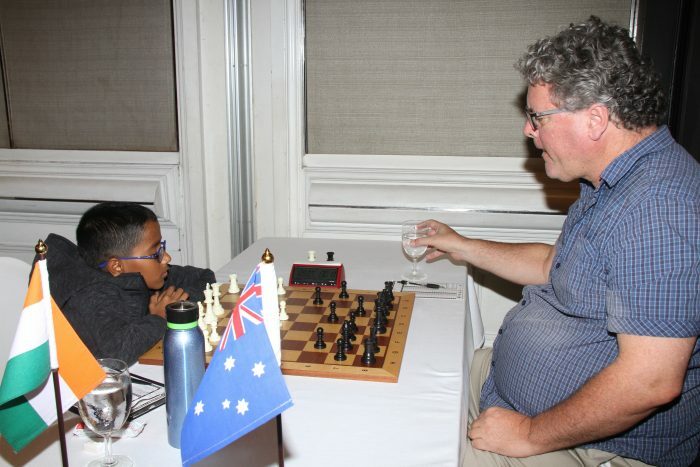 The field of 201 from 34 countries in the Open division includes three previous BCC Open titleholders: Nigel Short (England, winner in 2012, 2015 and 2017), Jan Gustafsson (Germany, 2011) and Zhao Zong Yuan (Australia, 2013). 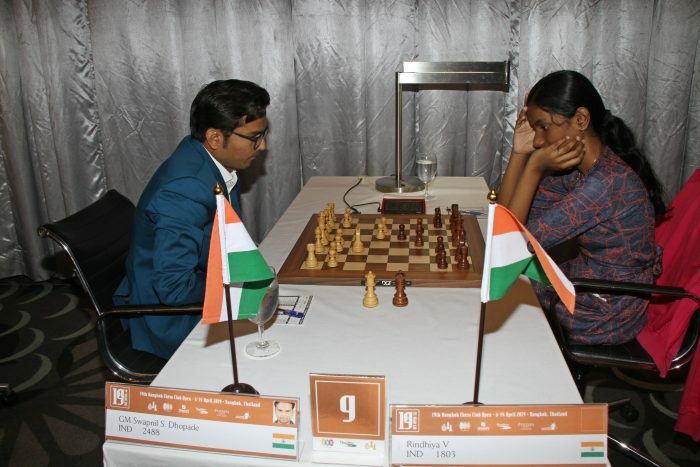 All three won their first round comfortably against lower rated opposition, with Short launching a spectacular checkmating attack involving the sacrifice of a rook and then a queen, with his opponent resigning four moves later. 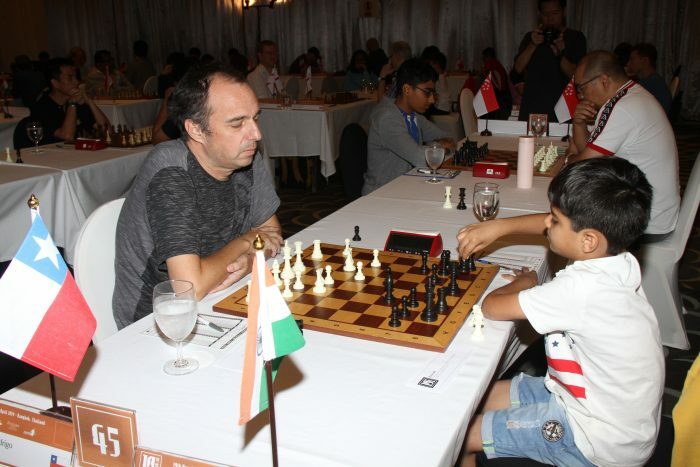 However the top seeds did not have matters all their own way, with Chilean Grandmaster Rodrigo Vasquez drawing with 13-year-old Singaporean talent Hariharan Ashwin. 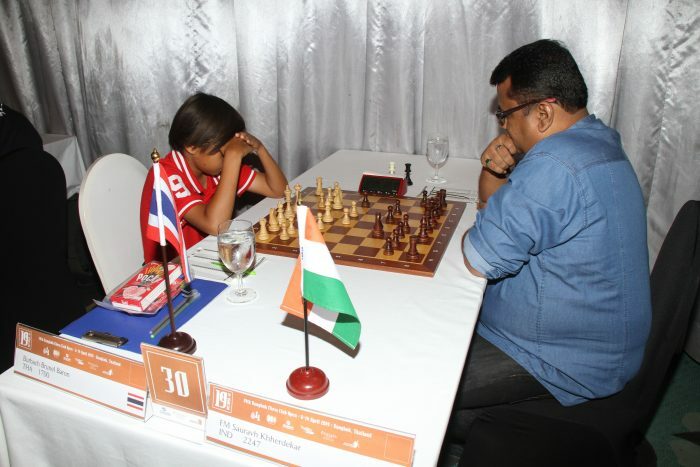 India has the biggest foreign delegation in Bangkok, with 44 representatives in the Open division alone. 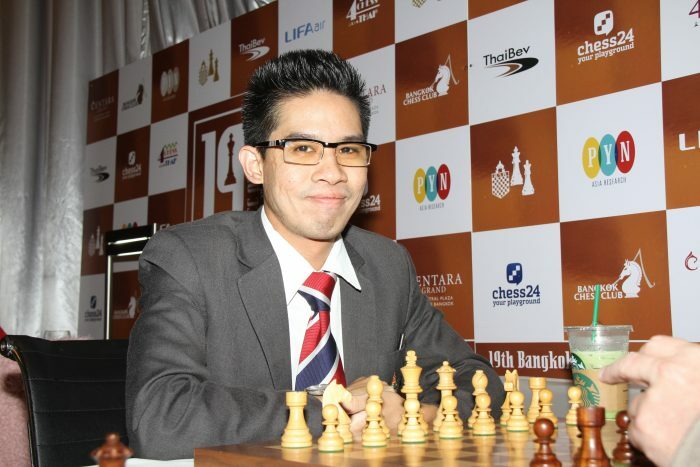 The local fans also had something to cheer about with Chiang Mai junior Kavin Nattavutthisit holding Singaporean veteran Grandmaster Bong Villamayor to a draw despite a 600 point rating differential. 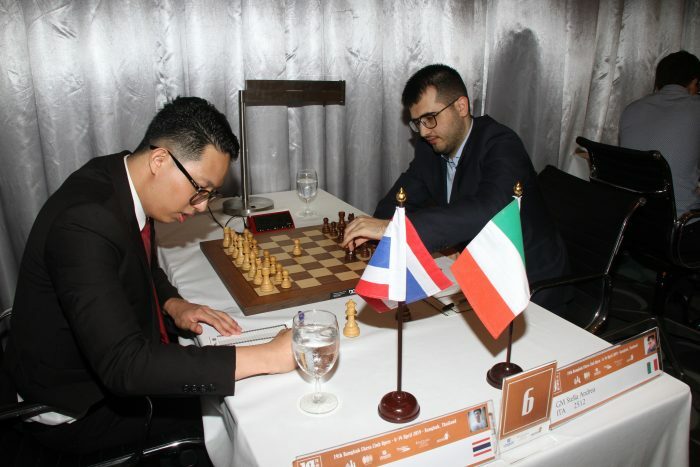 Another Thai, Thoetsak Wongsawan, almost pulled off an even greater upset before spoiling a defensible endgame and losing to the sixth seed, 25 year old Italian Grandmaster Andrea Stella. 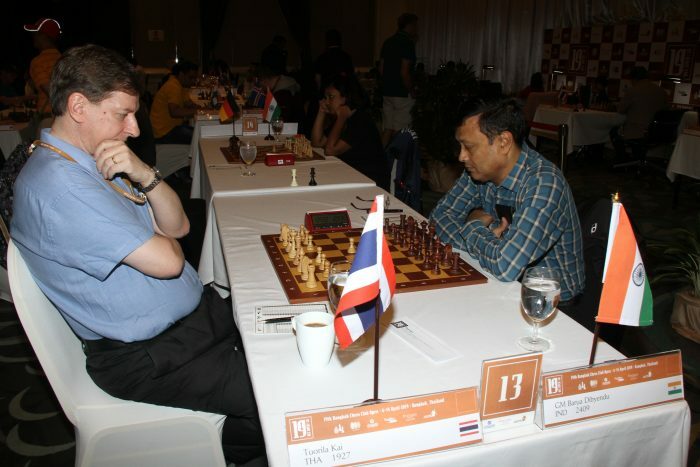 The Bangkok Chess Club Open is Thailand’s most popular tournament and one of the largest opens in South-East Asia. 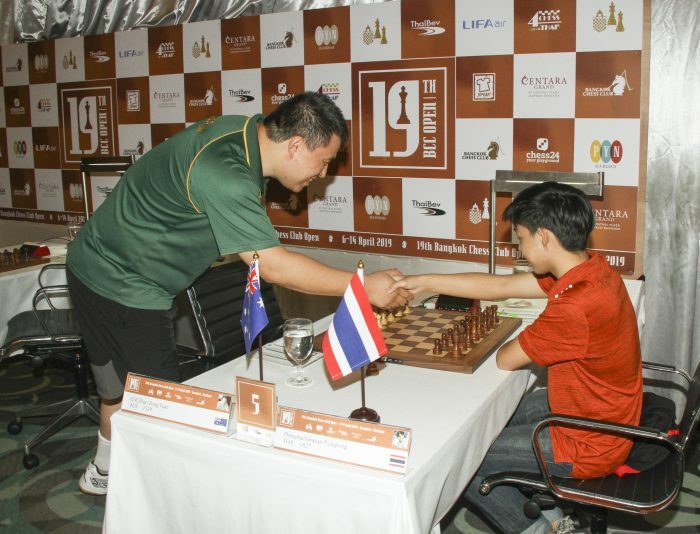 The tournament alternates between Bangkok and other major Thai cities. 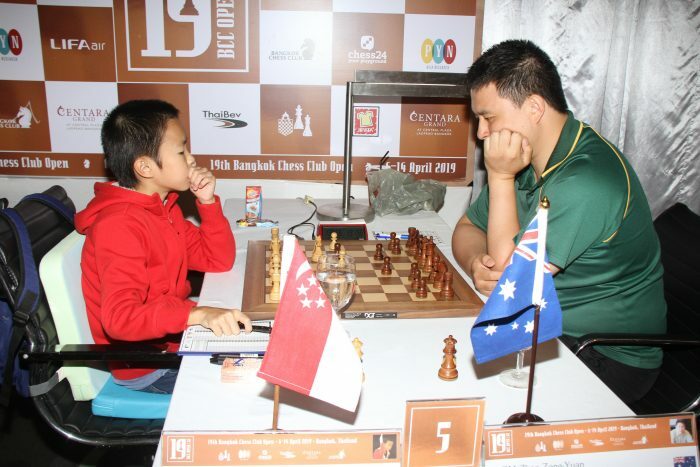 The BCC Open will be held daily until April 14th at the Centara Grand Hotel in Central Plaza, Ladprao, Bangkok. 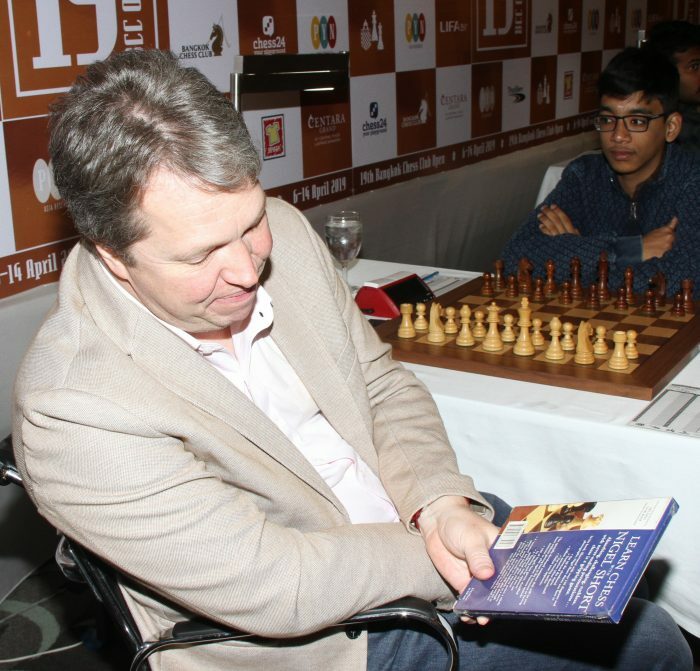 The second round of the Open division begins on Sunday April 7th at 14.00, with the Challengers division beginning on April 8. 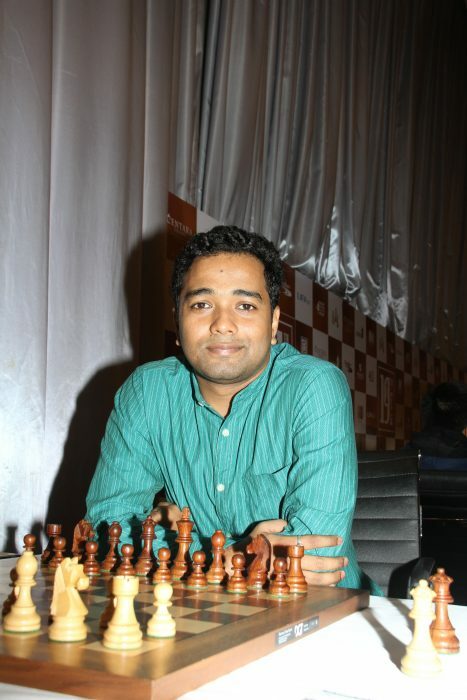 Spectator entry is free.